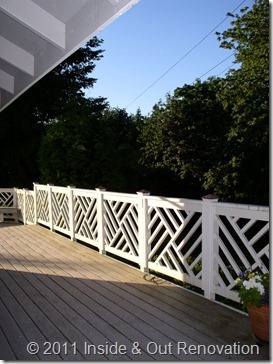 This deck attached to a Bothell home is a hybrid solution. The decking is Trex and the railing is pressure treated. The owner wanted a unique look to the railing since there are about 60 some feet of railing in a straight line. 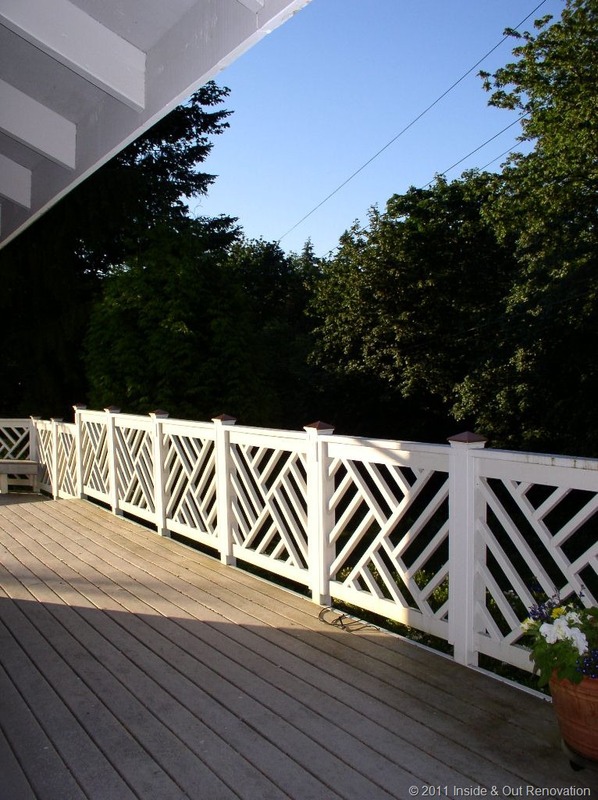 Trex was chosen for the low maintenance aspect, and at the time, railing products were not available, so the next best solution was adopted and that was pressure treated appearance grade lumber primed and painted.